Growing up in the United States, we are used to many things. From drinking cold milk and pulling butter out of the refrigerator to buying bread at local grocery stores, these are things we have become accustomed to. Young adults in there early to mid twenties are used to other luxuries including phones, internet, and television. But what would you do if you were put in a situation that took you out of your comfort zone and made it so you couldn’t use these “necessities.” In 2007, I put myself in this situation when I decided to take a trip to Portugal with my family. What I learned and saw during my trip are things I will never forget. Once I became aware of my surroundings after dealing with jet lag, I started to feel a little culture shock. We stayed in a beautiful little village where my mother grew up called Vila Cortes. It is just like one of those tiny towns you would see on the Travel Channel. The tiny streets we dealt with on a daily basis made the drives a little interesting. From what I saw that first day, I have to say, no matter how beautiful of a country Portugal is, I was regretting my decision to book the trip. Getting over the culture shock took all of a night’s sleep. The eight AM wakeup call from the first of three local bread companies making deliveries was something new for me. We here in the United States are used to getting pizza deliveries, not bread. Once I wrapped my head around that concept, it was time for breakfast. All I wanted was my cereal, and maybe a hard roll. So I put my cereal in a bowl, but my hard roll in half, and look to the fridge to get the milk and butter. To my surprise, those breakfast regulars weren’t there. They were in the cupboard, next to the coffee. Imagine that! After getting used to those differences, it was time visit family, and to see the sights. One of the first things we needed to go see was Fatima. 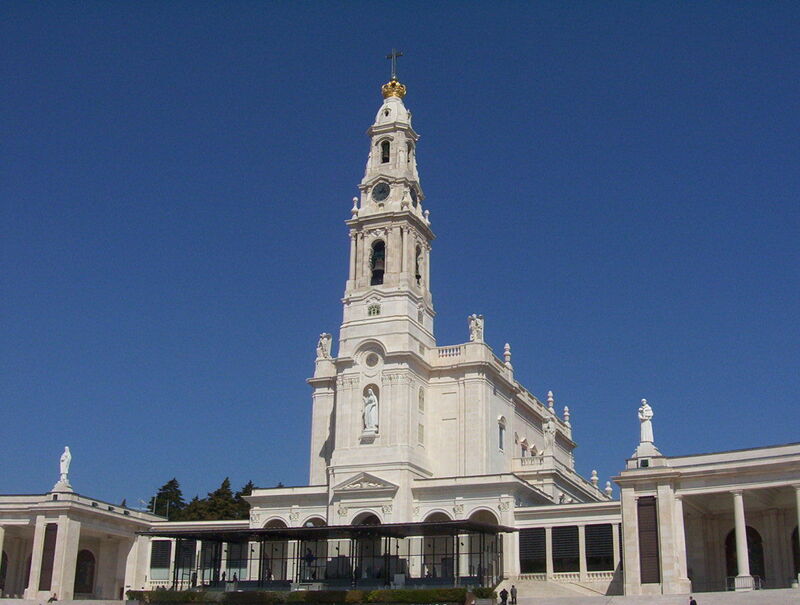 Fatima is Portugal’s holy land. In 1917, it is believed that three children saw the Virgin of the Rosary, Our Lady of Fatima. Thousands of people make the trip to this religious site each year, and after my trip was done, I can see why. To see people walking on their knees around the site where Fatima was seen, praying, not worrying the pain their bodies would be in later was spectacular. 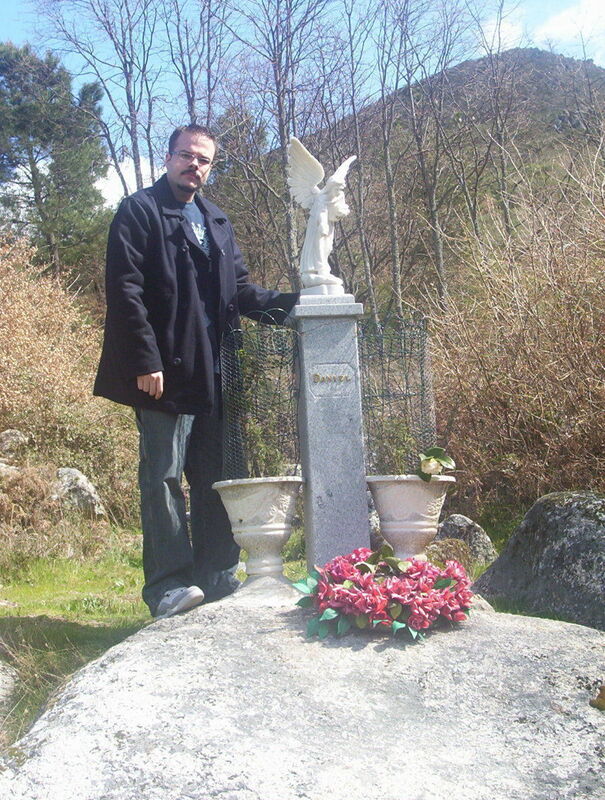 The power of the religion is something I had never seen in play until I went to Fatima. 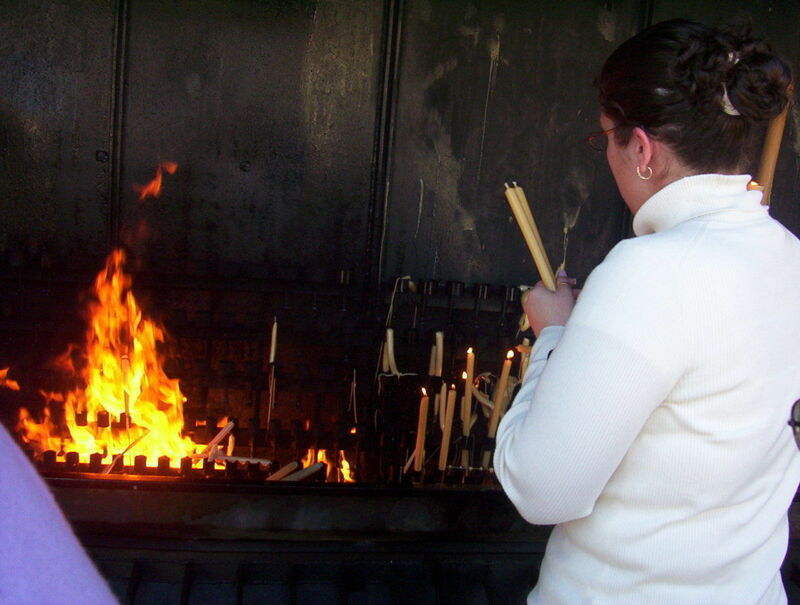 From those people praying for their families to the burning of candles in this enormous “oven” as memorials, this was one of the most influential moments in my life. From there on, we went to visit family, but our surprise; we needed to stop in the middle of the road. No it wasn’t because of an accident. It wasn’t because our car broke down. 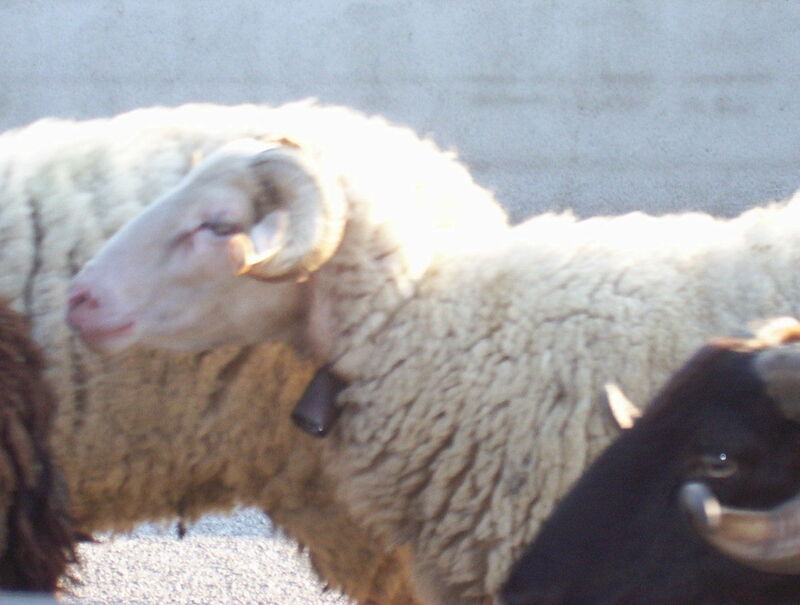 It was because there was a herd of sheep that needed the road. I need to say how interesting it is to open the window to your car, and have these amazing animals just walk right by you. Our next sight to see was to climb the largest mountain range in the country, the Serra De Estrela. When we made the trip, it wasn’t in season, so to our surprise, we were on our own. When we got to the top of the mountain, we were looking for the spot where there are shops, and restaurants, and any other sign of life. But there was none. While that didn’t take away from making the climb, it still would have been nice to have seen other people. On our way back down, there were some nice spots to pull over, and look over the cliff of the mountain. It’s unlike any feeling in the world. It really is like being on top of the world. Not to mention, the drinking water running down the mountain was some of the best water I’ve ever had in my life. Another interesting site on the way down the mountain was what translates to the face of the old man. You may ask yourself what that it is. What I would tell you would be a very different thing. 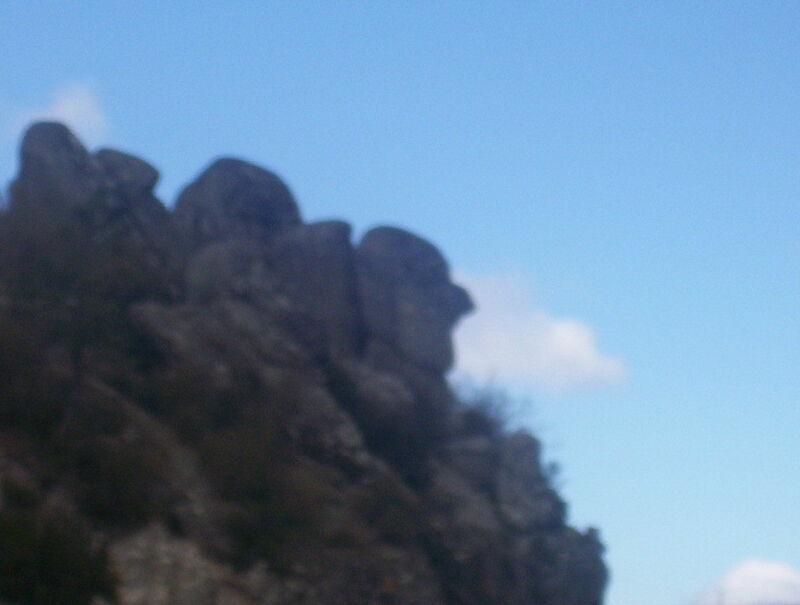 On the side of the mountain, there are rocks that make up the face of an old man when you look from the side. 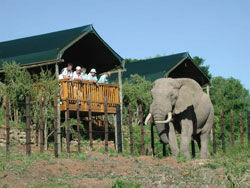 While it’s not an over the top attraction, it is one that is spoken about by all the locals. There was also a beautiful memorial on the mountain. While there is no story on the site about what happened with this person, it is a beautiful reminder that peacefulness is important in life. 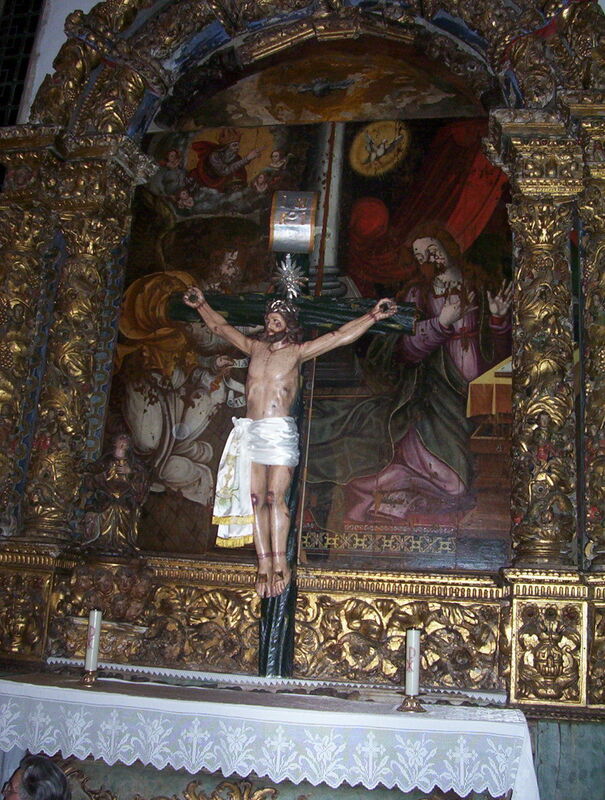 One thing I need to say, whether you are religious or not, if you ever visit Portugal, you need to visit a church or two. The architecture in these buildings is unlike anything we see in the United States. The amount of time put into construction of the churches is obvious. While you may think that visiting a country like Portugal would be too much of a stretch for you because it’s not your typical vacation spot, think about all the qualities I mentioned. Visiting Portugal takes you out of your comfort zone, but that’s not a bad thing. You need to be taken out of that zone once in a while to be able to really live life, and appreciate it for what it is.